Xiaomi Redmi 5 Plus is a bigger, more powerful variant of the Redmi 5. It packs a more spectacular display, a beefier processor, more memory, and a more powerful battery. Like smaller Redmi 5, the Xiaomi Redmi 5 Plus sports an elegant metal body. The mobile phone has 2.5D curved glass on the front to boost the outward appeal. One may not be wrong to say the Redmi 5 Plus looks more premium for the price. Xiaomi Redmi 5 Plus measures 8.1 mm in thickness and weighs in at about 180 grams. You can go for this one if a 5.5-inch or 5.7-inch display is not enough for you. Xiaomi Redmi 5 Plus packs a colossal 5.99-inch IPS display. The Xiaomi Redmi 5 Plus, like the regular variant, boasts an aspect ratio of 18:9. But expect better viewing experience with a resolution of 1,080 x 2,160 pixels. The Xiaomi Redmi 5 Plus looks to deliver comparable image quality to what you can get from its cheaper brother. It dons a 12MP sensor on the rear. This also has f/2.2 aperture and phase detection autofocus. But this offers dual-LED dual tone flash that promises brighter, better images. You get a 5MP camera on the front for selfies. This has a cool soft selfie mode and Smart Beauty 3.0 with face recognition. There is 32GB or 64GB expandable onboard storage for keeping your photos and videos, depending on the model you buy. Xiaomi arms the Redmi 5 Plus with a more powerful Qualcomm Snapdragon 625 chipset. The octa-core processor boasts a clock speed of 2.0 GHz. It pairs with an Adreno 506 GPU and 3GB or 4GB RAM. The Xiaomi Redmi 5 Plus runs off MIUI 9, a customized version of Android 7.1.2 Nougat. It also has its fingerprint scanner on the rear. Wireless connectivity options include Bluetooth 4.2 and Wi-Fi 802.11 b/g/n with Wi-Fi Direct and hotspot. A bigger 4,000mAh Li-Po battery helps to keep the lights on. Xiaomi Redmi 5 Plus enjoys the support of 5V/2A fast charge technology to refilling the juice quicker. The Xiaomi Redmi 5 Plus is available at Jumia Nigeria from a couple of Jumia Global third party partners. The Android Phone will also be available at a couple of Jumia stores in Africa. 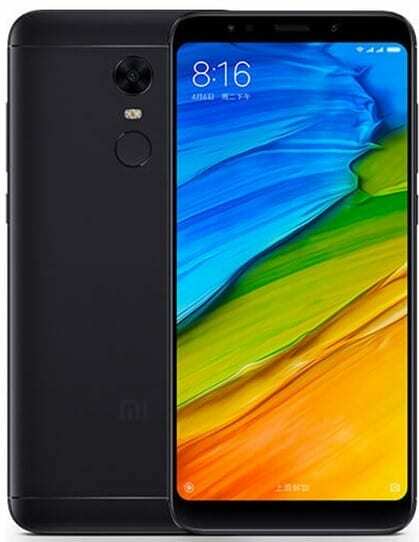 Xiaomi Redmi 5 Plus Price in Nigeria ranges from 89,999 Naira to 110,000 Naira. Price in Kenya should start at around 29,999 KSh.